Mortuary College? In a previous episode, we focused on a private mortuary college. 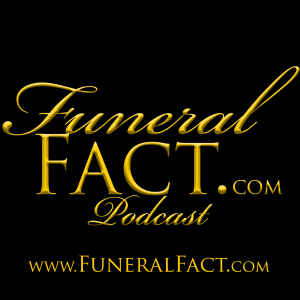 In this episode of the Funeral Fact Podcast, host Jeff Kasper interviews Glenn Bower, Professor in the Mortuary Science Department for Cypress College, in Cypress CA USA. As you'll hear, there are options to furthering your education in the mortuary sciences. Topics include: What's involved? Do you earn a degree? How long is the program? Do I have to go full time? Are there night classes? Can I get a student loan to help with my tuition? Exactly what classes are required or involved to earn my degree? and many more! You will gain a full understanding of what's involved and the commitment necessary to graduate from a college of mortuary science. Please subscribe and rate this podcast in either the Google Play Music or iTunes store. Don't forget to visit our website at http://www.FuneralFact.com where you will be able to submit questions, suggest possible topics for future episodes and much more.